Irek and the Polish group of anglers continued their Thai fishing holiday with a two day trip to Palm Tree Lagoon. With exclusive use of the lake the group caught a succession of predators on the first day topped by large Alligator Gar and a rarely caught Wallagu. 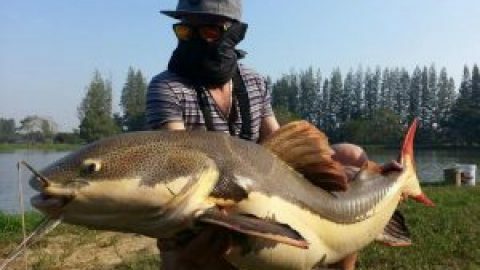 The second day saw the Polish group of anglers landing several specimen sized Redtail Catfish in addition to Striped Catfish and Siamese Carp. In the later part of the day a good sized Arapaima was landed of an estimated 50kg in addition to several more Redtail Catfish. 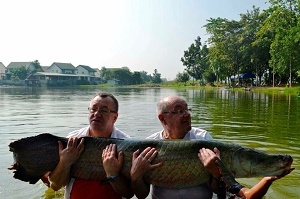 The highlight of the second days angling was the capture of another Arapaima of an estimated 70kg.